Five years after its first season, Unified basketball is bringing people together, and winning fans. Hundreds of enraptured fans last week watched Scott Sawtelle score the game’s last four points to lift Madison Area Memorial High School to a 58-54 win over Westbrook and claim the Gold Ball at center court. It was in many ways indistinguishable from the celebrations earlier in the month on courts in Augusta, Bangor and Portland. It was a great moment — and one five years in the making. The games are competitive — they serve as an athletic outlet for both athletes and partners, and they provide the benefits of teamwork and the lessons of winning and losing. But that’s not the only goal of Unified sports. They also bring together students whose paths may not cross in the course of a regular school day, building relationships that last off the court. In the time leading up to the big game — which drew a large contingent of Madison fans, including the school’s cheerleaders and members of the baseball and softball teams — the Unified players were the “kings of the school and community,” coach Josh Bishop told Travis Barrett of the Kennebec Journal/Morning Sentinel. 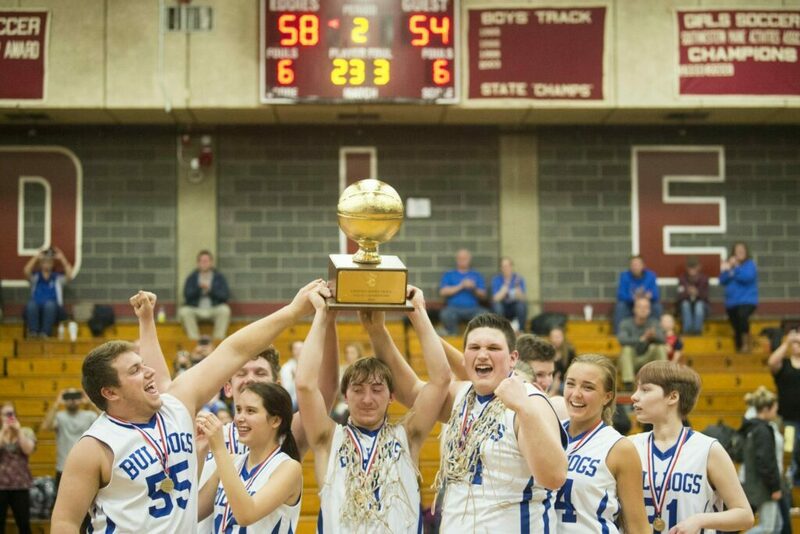 Five years ago, 17 teams took part in the first season of Unified basketball in Maine. This year, there were 53 — enough for two divisions. Done right, high school sports is about more than winning and losing — it’s about what you take away from the field once you are not on it any longer.